Michael began having visions of community acupuncture many years ago as he was sitting in an acupuncture class. The visions continued until he saw them come to life during his first visit to Working Class Acupuncture, one of the first community clinics, located in Portland Oregon. He returned home, inspired to help community acupuncture take root in Canada, and to construct his vision of CA in Victoria, BC. 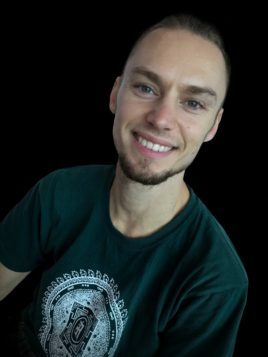 Since creating hemma community acupuncture clinic in 2007 he has dedicated his work and teaching to the continued growth of community acupuncture in Victoria and throughout North America. Michael has accumulated more than twenty years of study and practice in the fields of; Traditional Chinese Medicine, Acupuncture, Massage, Yoga Therapy, and Addictions, all of which inform his practice. He studied Acupuncture in San Francisco and Victoria and has been licensed to practice in B.C. since 2004. Michael has served on the faculty of both the Canadian College of Acupuncture and Oriental Medicine, and the Pacific Rim College. He also served on the board of the Community Acupuncture Network (now POCA), and currently serves as a Western Canada representative for POCA, providing education and support for people interested in establishing CA clinics in their communities. 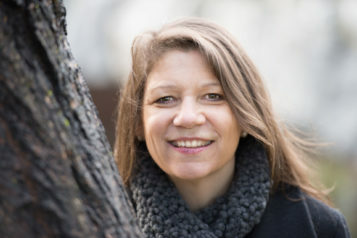 Melissa de Hann R.T.C.M.P., R.Ac. Melissa was first talked into trying acupuncture by her father about 23 yrs ago, because of chronic back pain she had developed from mountaineering. She did not believe in it at the time, but as nothing else had worked, she thought, why not? Her first treatment, she clung to a pillow in abject terror of being needled. But it wasn’t so bad. Pretty painless, actually. After one course of treatments, the pain she had had for over 6 months was gone. She decided that being an acupuncturist and herbalist would be way cooler than being an alpine climbing guide, and switched career paths immediately. She graduated from the International College of Traditional Chinese Medicine in 1995, and is a Registered Traditional Chinese Medicine Practitioner and Licensed Acupuncturist with the CTCMA. She has been in active practice for 18 years, and during this time has taught at the International College of Traditional Chinese Medicine, The Canadian College of Acupuncture and Oriental Medicine, and at Oshio College. She also worked under contract at the Central Victoria Veterinary Hospital, practicing animal acupuncture under the direction of the accomplished veterinarian acupuncturist, DVM Marlene Smith, until a sufficient number of veterinarians completed their acupuncture training and could serve the Greater Victoria community. She feels that that experience greatly enhanced her sensitivity and skill in treating her human patients. She switched from private practice to community style acupuncture several years ago and has never looked back! She is very happy to be at Hemma, and truly feels she has come home. Soola is truly passionate about health and wellness and practices acupuncture to facilitate holistic health in her own life. Her journey into Acupuncture began while in preparation for surgery in 2003. A dear friend suggested she try acupuncture to help ease the anxiety she felt surrounding the operation. She took that great advice and the impact of those treatments was profound. The acupuncture sessions left her feeling deeply nourished and calm. The treatments facilitated both a successful surgery and rapid recovery. Soola anchors from the personal impact of this experience and draws from it as source for her professional practice. Community style acupuncture makes the availability of this powerful medicine accessible to people of all socio-economic backgrounds. Having the opportunity to provide treatment to people from all walks of life is something that inspires Soola. She enjoys being part of a community that supports co-creation of well-being with holistic medicine and natural healing. Soola endeavours to create relationships with her patients where they can feel comfortable and empowered in their treatment. She is truly happy and honoured to be part of the Hemma team of Acupunks! From an early age, Feo has had an innate love and curiosity for the natural world. In his teen years, he discovered meditation and martial arts, which became a deep part of his personal growth and development. Coming from a family of scientists, he naturally followed suit to study Biochemistry at McGill University. However, upon completing the Bachelors program, he decided to pursue a different path, knowing that there was something else calling to him. After coming out west, Feo soon discovered something that would completely change his life. He began practicing Qi gong and studying the inherent concepts of Oriental Medicine in its teachings. An endlessly fascinating and mysterious world of knowledge and understanding started to unfold. Before long, the call became clear, and he began his training at Oshio College of Acupuncture and Herbology in order to learn how to help oneself and be of service to others. Feo’s acupuncture journey eventually brought him to Hemma, where he discovered the beauty of community style acupuncture. He is delighted to be able to offer this medicine in a way that allows more people to receive its benefits and creates space for them to come together and heal as a community. He is grateful to be a part of this growing movement that is shifting our cultural awareness around health and wellness. 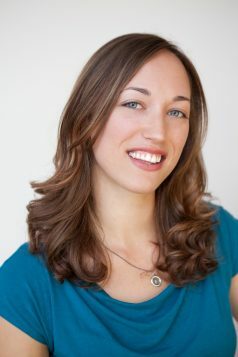 Jennifer’s interest in the promotion of health and wellbeing inspired her to pursue first Nursing and then Acupuncture. She loves how Acupuncture helps support us in our journey to health, both mental and physical, and how Community Acupuncture makes a space for that to happen. Jennifer appreciates Community Acupuncture’s special role in making this available to a broader spectrum of people and believes in the profound impact of communal healing. She actually had her first ever Acupuncture treatment at Hemma and is excited to have come full circle and be practicing here herself. 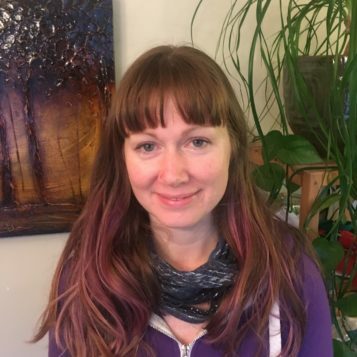 As a long term yoga practitioner, Jennifer has long been interested in the mind-body connection, and this interest informs her practice of Acupuncture and her interest in the intersection of Eastern and Western Healing Arts. She studied at the International College of Traditional Chinese Medicine and Pacific Rim College, which she graduated from in 2016. Jennifer spent most of her twenties travelling and working in Asia before returning to settle in her hometown of Victoria almost ten years ago. She lives with her husband and their two rescue animals (one cat, one dog) and reluctantly admits to sometimes dressing her dog in pink shirts with hearts. My journey to Acupuncture has led me along many paths. I resigned my corporate position in 2001 and began training in massage and botanical medicine. I studied Organic Chemistry with an interest in the medical use of essential oils. After completing my designation in Toronto as a Certified Health Practitioner, I immersed myself in further education focusing on mental health and woman’s care. In 2010 I began my training at the Canadian College of Acupuncture and Oriental Medicine in Victoria and completed my three year program, and am now registered with the B.C. licensing board. I have extended and enhanced my education with workshops on addiction and mental health and am a certified NADA practitioner. Madison loves how acupuncture plants us firmly in our bodies, forcing people to hang out with themselves in the present moment. She hopes to empower clients to take responsibility for their own health and well-being, and is simply delighted to help people feel better. She has worked almost exclusively with the community acupuncture model and is truly committed to making treatments accessible, affordable and effective. She believes in the importance of collective healing, which is created within spaces like Hemma. 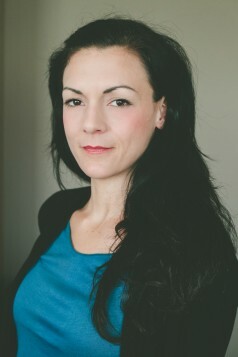 Madison also has a passion for the use of acupuncture in treating trauma, addictions and mental health challenges. She feels very lucky to have explored this through work in VIHA’s Community Medical Detox Unit, and with AIDS Vancouver Island. She graduated from Pacific Rim College in June 2012 with a Diploma in Acupuncture, and continues to study, learn and grow in her practices of acupuncture, yoga and meditation.